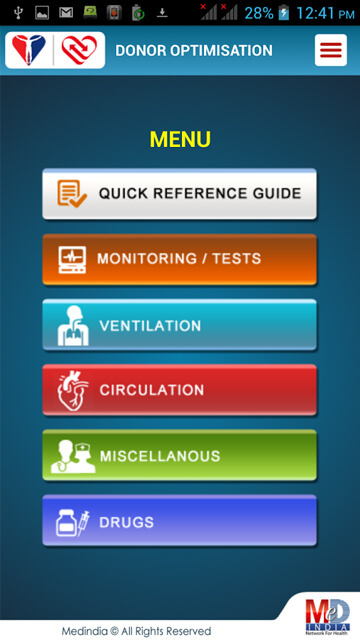 This App was developed for an NGO. 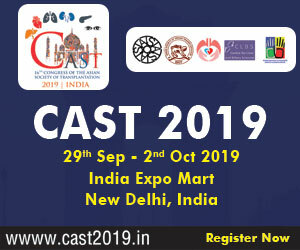 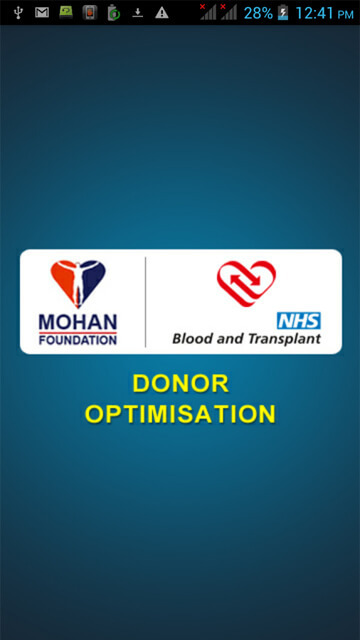 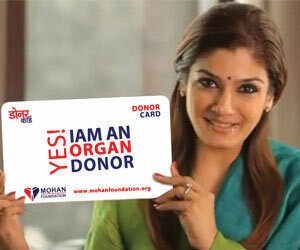 MOHAN Foundation and National Health Service (Blood and Transplant) of UK. 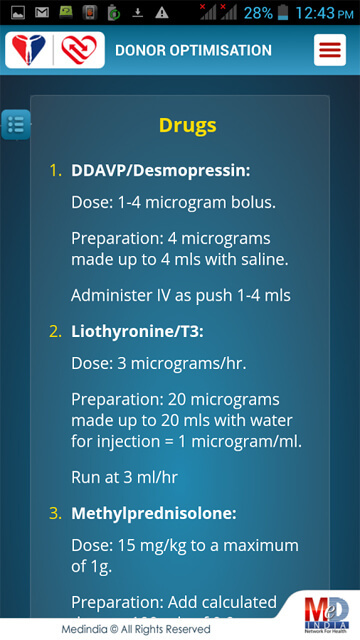 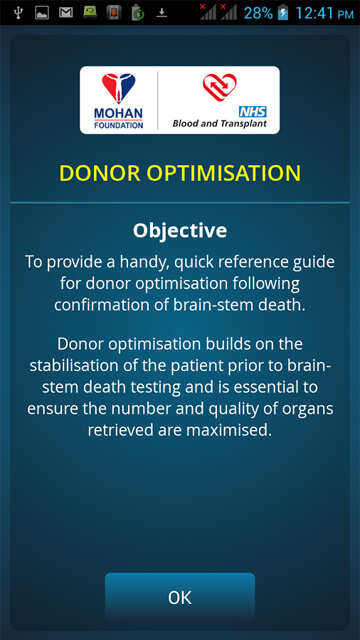 To provide a handy, quick reference guide for donor optimisation following confirmation of brain-stem death. 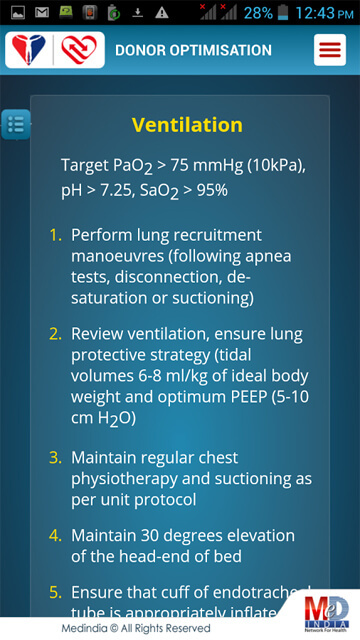 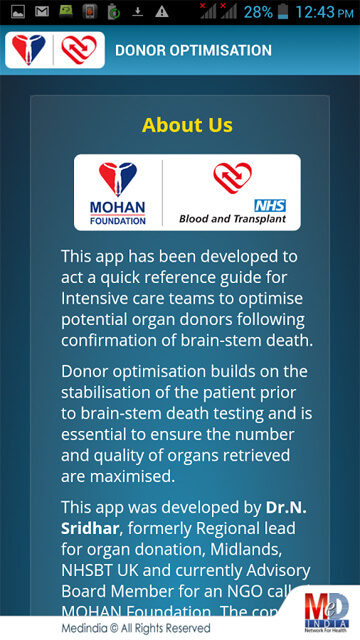 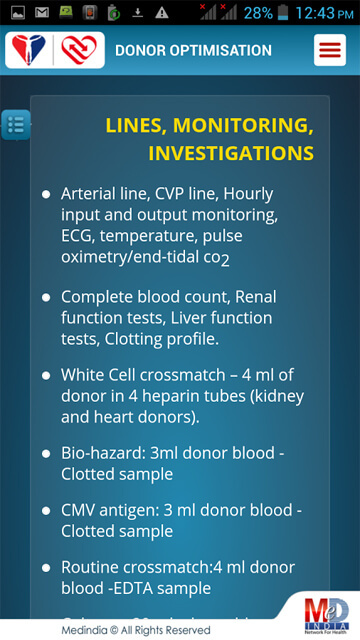 Donor optimisation builds on the stabilisation of the patient prior to brain-stem death testing and is essential to ensure the number and quality of organs retrieved are maximized.